Based in Mawdesley in Lancashire, The Cake Pavilion has enjoyed flourishing success on the back of a dedication to perfection. 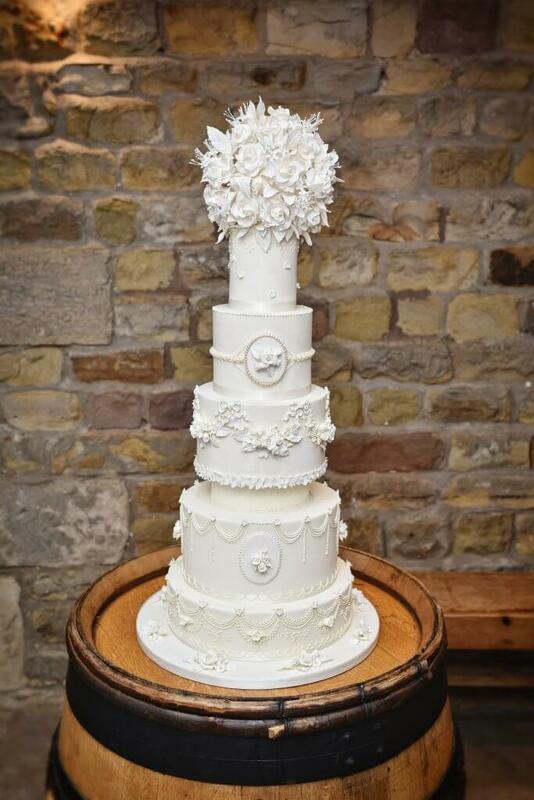 As a result of this, it was recognised as the Most Outstanding in Luxury Cake Design for the county of Lancashire in LUXlife Magazine’s 2019 ‘Ones to Watch in the Wedding Industry’ programme. Naturally, we were eager to speak to The Cake Pavilion’s Owner and Cake-Maker Extraordinaire, Suzie Bunner, to find out more about her work and company. Over the last decade, weddings have evolved to become an entirely different beast from the purely tradition-driven events of yesteryear, they have become fuelled by a desire for bespoke finishes, and unique experiences. The days of cookie cutter weddings are over, as today’s couples look for personalisation and customisation above all else. This is also true for the day’s centrepiece – the wedding cake. Whether they opt for traditionalism, or the avant-garde, the wedding cake is something that should reflect the tastes and personality of the couple of the centre of the day’s events. Equally, the stakes couldn’t be higher – after all, the wedding day is supposed to be the epitome of perfection. It would be fair to say that clients expect only the very best. Perhaps it is no surprise then that The Cake Pavilion has enjoyed the success that it has as Suzie aims for nothing short of perfection in the pieces that she creates. Each captures the heart of the client, acting as testament to the deeply personalised approach she takes to her work. After all, as Suzie explains, her work is her passion: “I started a small business to allow me to realise my passions for working closely with clients and being creative. I had worked in the NHS for many years with long hours away from home and I wanted to move away from that. My role in General Practice was extremely rewarding but stressful. 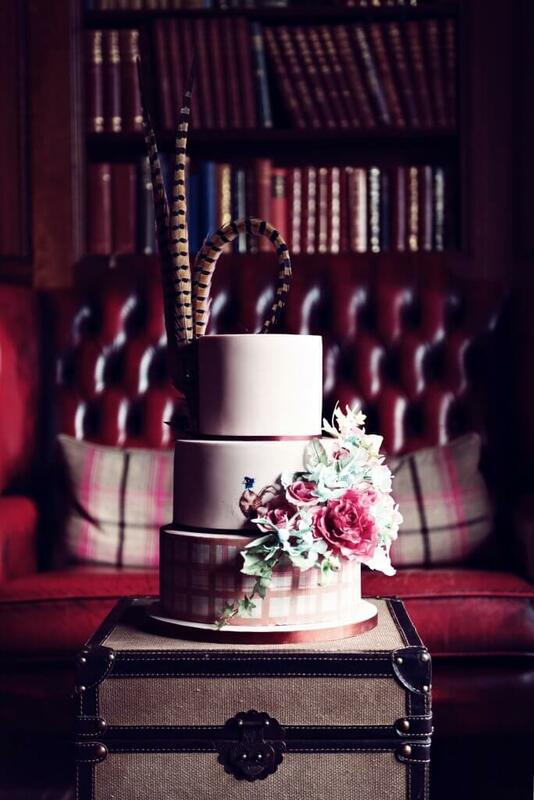 “I now create beautiful bespoke wedding cakes. I offer a highly personal and professional yet, friendly service. Every cake is individually designed with the client. 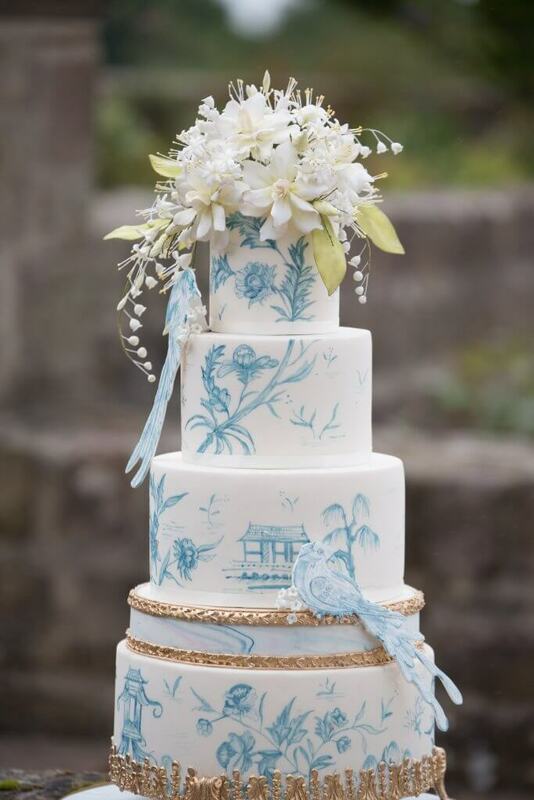 I provide a relaxed atmosphere in quintessentially English rural surroundings opposite the village cricket pavilion for wedding consultations, so that I can get to know the clients and create a cake for them that reflects their personality and ideas. The cakes are made from scratch with only the best and freshest ingredients. We pride ourselves on producing a cake that tastes as good as it looks. the cakes are delivered and set up nationally by The Cake Pavilion. This continues and completes the personal service offered to the clients. The couple can relax knowing that their cake will arrive and be presented at their wedding in perfect condition. For Suzie, whose parents ran a successful bakery, providing great customer service forms the foundation of The Cake Pavilion’s success. “They provided exquisitely decorated and delicious cakes with exceptional customer service – I learned a lot from them. Although fashions have changed the principles that guided them have not and I will always go that extra mile to ensure that the client has the cake of their dreams. Ultimately, I follow the same principles of integrity that I held in the health professions and I hope this, in turn, inspires trust and confidence in The Cake Pavilion. Where The Cake Pavilion does follow trends it does so with its uniquely distinctive style, offering a different perspective to the usual and the expected. “This year, geometric shapes and marble effects are on trend. We’ve found that marbling using softer alabaster colours works beautifully. Moreover, using gold accents is a strong trend at the moment. ← LUXlife’s 2019 Pet Product & Services Awards Are Open For Voting!